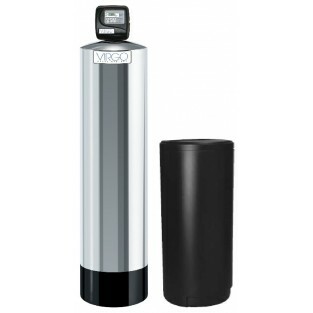 The Virgo Water Softener can help reduce energy bills and save water. These highly efficient water softeners are designed to help protect plumbing and appliances from hard water damage.Virgo Water Softeners will allow you to clean with less soap and will also save you the time previously spent rewashing spotted dishes and glassware. Control valve is easily removed from the tank for service. The Virgo Water Softener System VSOFT-100 has one inch connections.